Photo from Wikipedia and not mine. It looks like kids and not so kids at heart will have a grand time at Glorietta in Makati this March 17 to 19 in Makati City. Watch and enjoy the Sky Alive Tour including interactive performance booths from RTL CBS' latest shows like The XFactor UK, Britain's Got Talent, America's Got Talent, James Corden, The Late Show with Stephen Colbert and the tons of awards shows this quarter. Aside from that, you and your kids can rub elbows with Zupervisors from KidZania Manila and experience how to run a township, like your own city. 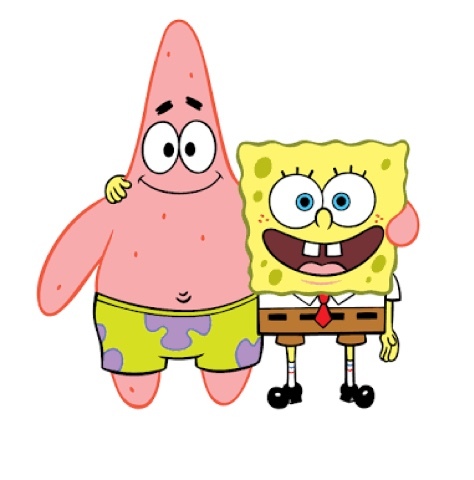 You will also get to see Spongebob Squarepants, and his trusty best friend Patrick Star. Play games and watch them sing and dance, or take time to also have selfies too. Then on Sunday, you can watch Chef Sandy Daza cook his favorite recipes at 5PM. Register early because only the first 50 can get to participate in that demo wherein you can win lots of prizes courtesy of our friends from O SHOPPING. Again, this will only happen on March 17 to 19, 2017. So if you're not doing anything on that day, rush to Glorietta's Activity Center and experience SKY ALIVE at Glorietta. This event is sponsored by SONY.